Have you been hearing about tankless water heaters and wonder whether or not this would be a good fit for your household? Our professional staff at Trident Plumbing will be happy to talk with you about the benefits that come from having such a water heater in your home as well as what it will take for the installation. All you have to do is give us a call and we will be happy to go over all of the details with you. In general, homeowners are finding that they are able to save anywhere from 30 to 50 percent on their energy bills when using a tankless setup depending on the amount of water used. Also called an on-demand unit, the tankless water heaters will just heat whatever water you need when you turn the faucet on. The system will usually run with either propane or natural gas and they help to cut back on the cost of keeping a sizable amount of water hot while it sits in your storage tank. You are wasting less energy, which then translates into a great savings for your regular electricity bills. Another advantage is that they are more compact than a traditional water heater and they will give you a supply of hot water on a continuous basis. This is optimal if you have a whirlpool or hot tub. Call us today at Trident Plumbing at (425) 321-6043 and we will be happy to discuss your options when it comes to tankless water heaters. 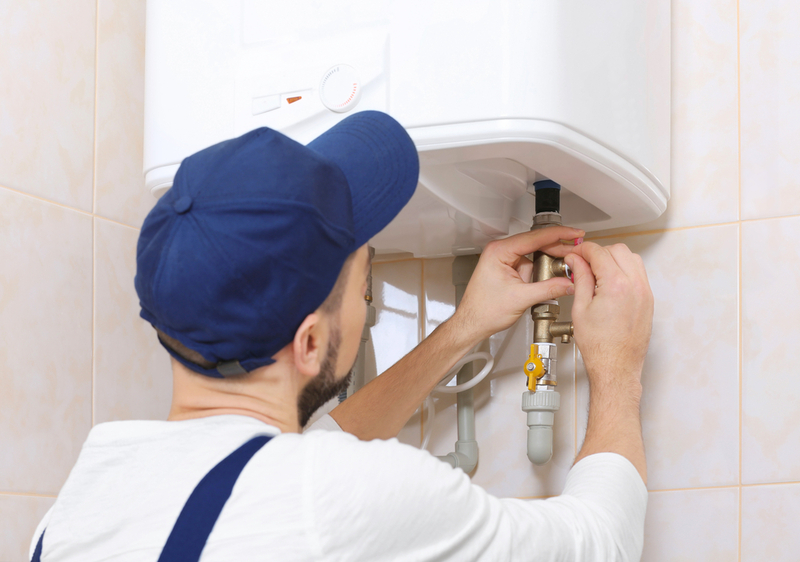 We have trained technicians and access to all of the equipment necessary to get your water heater installed in a timely fashion. You can count in our level of expertise when it comes to professional installations as well as repairs.